Metal Gear Solid is a generational masterpiece from Hideo Kojima, there's no doubting that. It's a series that's spanned multiple consoles and lives on in the hearts of many as arguably the greatest series of all time. How do the main series games stack up against each other, though, in a ranking? 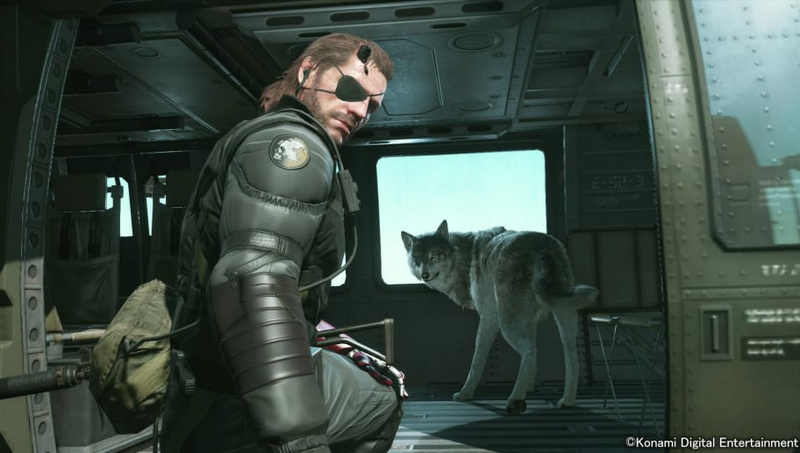 Here's a definitive ranking of the Metal Gear Solid main series. This ranking will not touch on remakes or ports, just the original releases in the main series. Metal Gear takes place smack dab in the middle of the franchise as fans control Solid Snake for the first time ever infiltrating Outer Heaven. As historic of a release the game is, it just doesn't stand up to the ones that followed. Speaking of not standing up to its successors, the same case applies here to MG2: Solid Snake. Respect has to be paid to the ones that came before the MGS series, and the Zanzibar Land story of the franchise is integral. Plus, it has Snake vs. Gray Fox. What's the one thing everyone associates with Sons of Liberty? Raiden. MGS2 doesn't necessarily lack in any aspect compared to other entries in the franchise, but fans just can't get over the lack of Snake in it. The hacked CODEC conversations with Campbell and Rose, though, are some of the funniest moments in the series. Fission Mailed, am I right? As tough as it is to rank Guns of the Patriots at fifth on the list, it's just how the cookie crumbles. There's nothing bad to say about the fourth entry in my opinion; it was a gorgeous game and felt epic at every turn. Nanomachines and some other nonsense aside, the conclusion between Snake and Liquid Ocelot atop Outer Haven is an epic moment fitting of the chronological conclusion to the series. One of four PlayStation Portable releases in the series, but the only one to be in the main series, Peace Walker is a fantastic example of not sacrificing gameplay or story when releasing a portable title. It was ported later in HD collection compilations, but the PSP release is considering one of, if not the best PSP games of all time. The Phantom Pain (yes, including Ground Zeros) was a gaming phenomenon with its open world atmosphere and immense storytelling. The first MGS release in seven years following GotP, TPP is a whirlwind story and one essential to the story. Seriously, play TPP. Who didn't have the Snake Eater theme on loop after originally playing it in 2004? As Metal Gear Solid 2: Sons of Liberty took players ahead in time, Snake Eater teleported those back in time controlling Naked Snake a.k.a. Big Boss. It is chronologically the first entry in the series and the boss fights are arguably the best in the entire series here. The original takes the top spot. It was the game that put the stealth genre on the map. Again, fantastic storytelling and it had some of the most iconic moments in all of gaming. Especially the Psycho Mantis boss fight. The remade Twin Snakes edition for Gamecube gave it new life on a more advanced console. Here's to you, MGS.